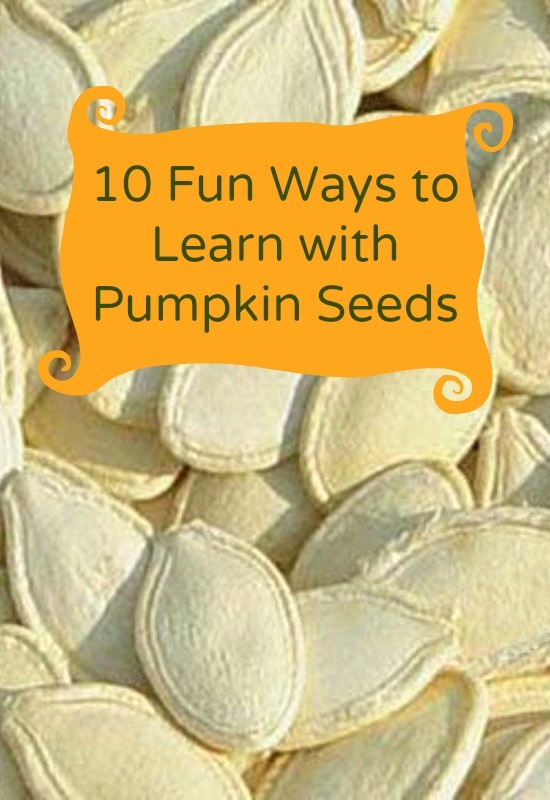 Have you ever used pumpkin seeds for learning activities? We recently used pumpkin seeds to practice letter recognition. The activity was so easy and inexpensive to put together. Plus the kids spent so much time playing with it that I thought it would make a great fall busy bag to stash away for future use. Busy bags can be used at home or on-the-go. I love that this one is so small it can be tucked in my purse when we are out and about! Our first pumpkin seed busy bag is an ABC bag. As you can see, all I did was write letter names on some pumpkin seeds. I used a regular brown Sharpie. Simple! I also added a small piece of paper for the kids to use as a work mat. This isn’t necessary, but sometimes giving children a specific work area helps keep the materials from getting scattered all over the place (particularly helpful if you are using these out and about). After we were done using the pumpkin seeds at home, I placed the pieces in a snack size zipper bag, and that’s it! Easy peasy! Tuck the busy bag in your purse and pull it out when you need something to keep your child learning and having fun for a few minutes. Make colored dots on them (one color per seed). You could create multiple seeds for each color. Then your child could sort the seeds by color or make patterns with the seeds. Make very simple shapes on the seeds. 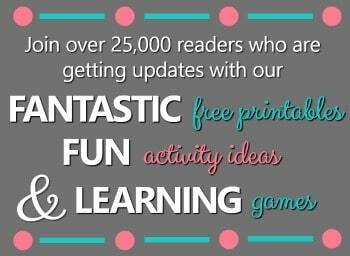 You could do the same sorting and patterning activities that you would do with colors. Write numbers on the seeds to practice number recognition. Add math symbols (+, -, =) to your bag of seeds with numbers and have kids create addition and subtraction sentences. Write only the letters in your child’s name. This would be great for a child just beginning to learn letters. Write the names of all of the letters of the alphabet. Your child could put them in alphabetical order, build simple words, or practice naming letter names or letters sounds. Add one set of seeds with the uppercase letters and one set of seeds with the lowercase letters. Your child can match the uppercase and lowercase. 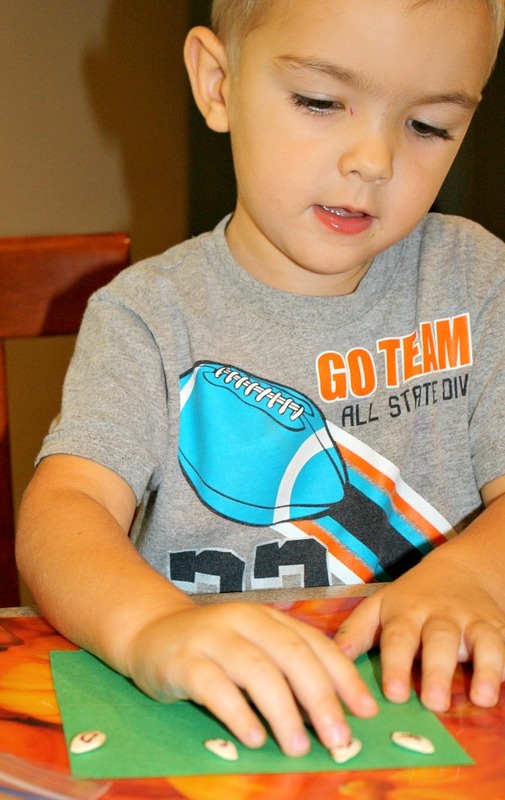 Include enough letters to practice your child’s current spelling words or sight word list. 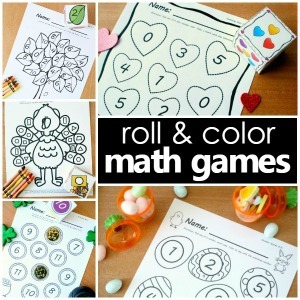 Create two matching sets of colors, shapes, numbers, or letters. Then set them up face down and use them to play memory. 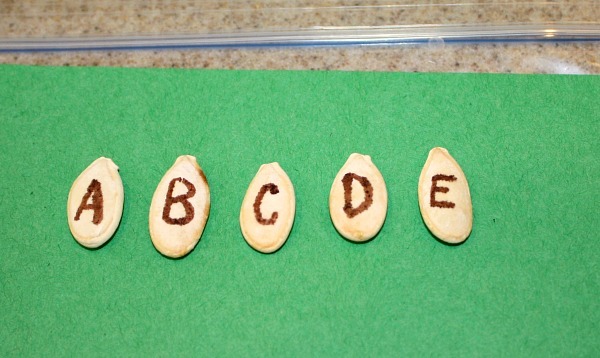 And when your child is done using the seeds the way you have written on them, flip the seeds over so they are blank. Your child can create a picture, shape, or letter. The creative possibilities are endless. What other ways could you use pumpkin seeds in a busy bag? If you try this out, let me know in the comments! I am always looking for number activities. I like the idea of keeping it in your purse. Thanks! I always love to have some easy activities in my purse. Never know when we will end up needing a quick distraction!